Women have fought beside men on the battlefield for ages, defending their homes and joining military incursions. 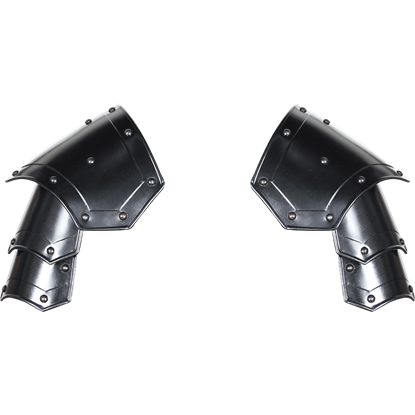 Here at Dark Knight Armoury, we believe that women should have an equal selection of high quality armor to choose from when creating their fighting ensemble. 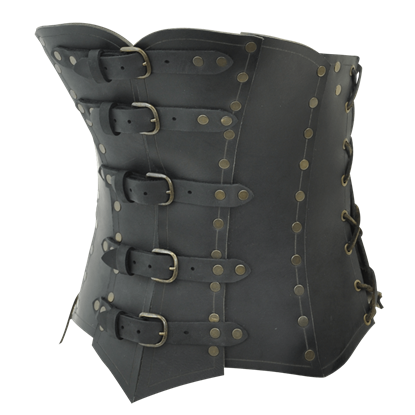 We carry excellent pieces of leather corsets, bracers, gauntlets, harnesses, skirts, greaves, tassets, and more. 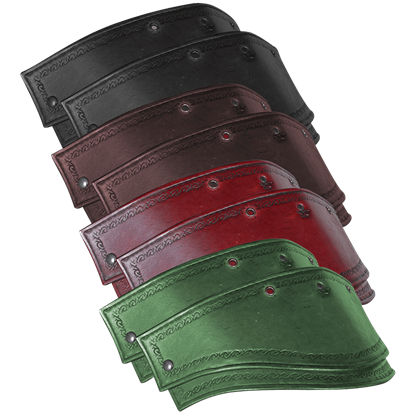 Our female leather armor appears in a range of different styles, including striking fantasy pieces and some styled after the legendary Valkyries! Perfect for LARP events, theatrical performances, and Renaissance festivals, these pieces of female armor will make it simple for you to transform yourself into a Lady Knight, War goddess, or a Viking shield maiden. Take a moment to browse this category to see the latest pieces that have been added! This is a corset for the wench who means business! 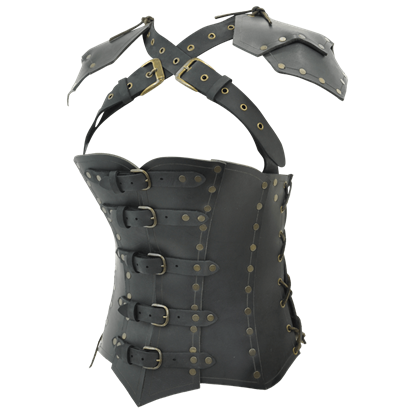 The Armor Corset features the classic style of a typical wench corset with the added touch of an armor-grade leather construction, making it as tough as typical LARP armor. 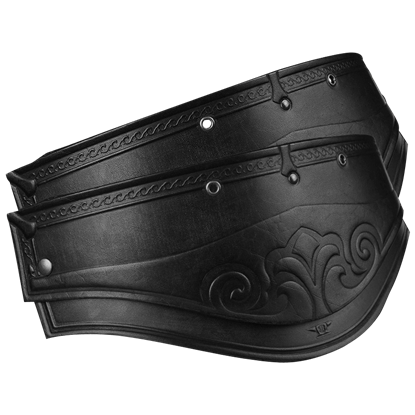 Being more armor than clothing, this protective corset benefits from the addition of pauldrons. 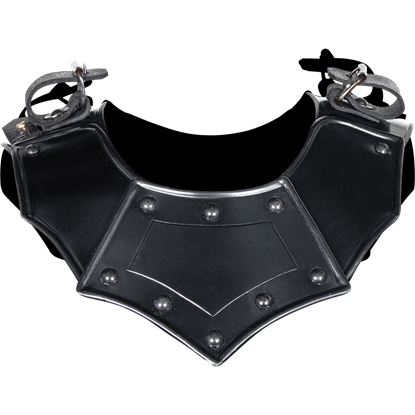 In fact, not only is the Armor Corset with Pauldrons protective and defensive, but it looks stylish with its shoulder pieces. Reclaim the lands of your people as a fierce warrior queen, or join your clan in relieving a coastal village of its wealth. 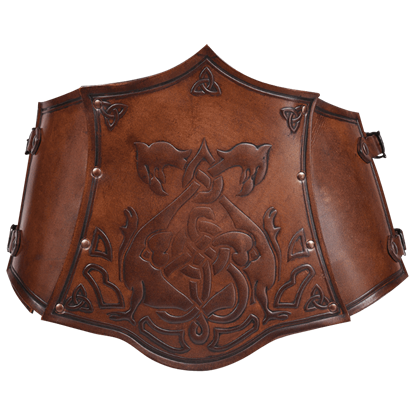 Regardless of the role, the Artemis Celtic Leather Cuirass for Ladies offers enhanced style and defense. Guide your army to victory as a warrior queen from the Middle Ages, or adventure through a fantasy realm as a fearless mercenary. No matter the role, the Artemis Embossed Leather Cuirass for Ladies raises both style and defense. 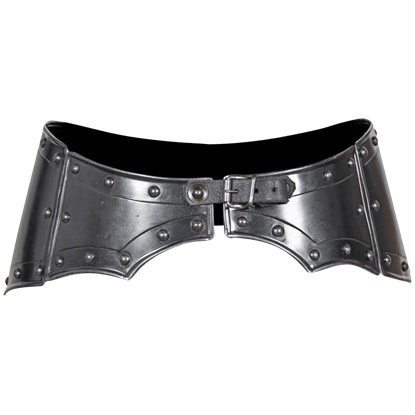 The Blackened Mina Armour Belt is ideal for women warriors looking for a stylish and sturdy addition to their battle gear. Great for LARP outfits, this blackened 16 gauge steel belt is decorated with rivets and worn at the hip. 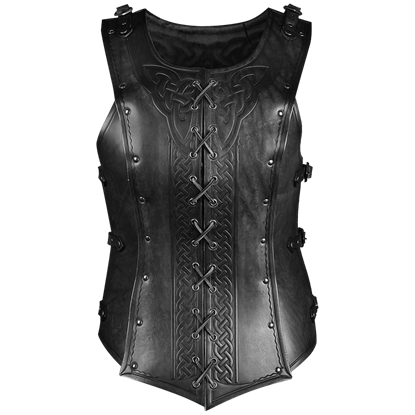 Tailored to the female form, the Blackened Mina Chest Armour offers a great look for shieldmaidens, lady knights, and warrior princesses. The steel armour features a dark metal finish and decorative rivets along the edges. Transform yourself into a modern day warrior princess with the help of the Blackened Mina Spaulders! 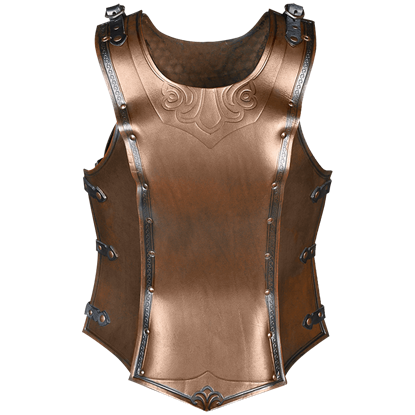 This fantastic womens shoulder armour displays a dark metal finish and is constructed from three flexibly composed segments. Command both respect and style on the LARP battlefield with the Celtic Isolde Leather Bodice. This gorgeous piece of armour not only accentuates your waist, but also raises your defense during light combat and training. Race through the woods with your bow in hand and protect your realm while wearing the Dark Elf Corset. 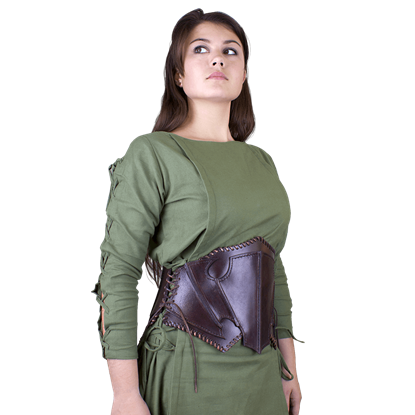 This functional garment can complete any Elven costume and add a touch of realism to your cosplay experience.